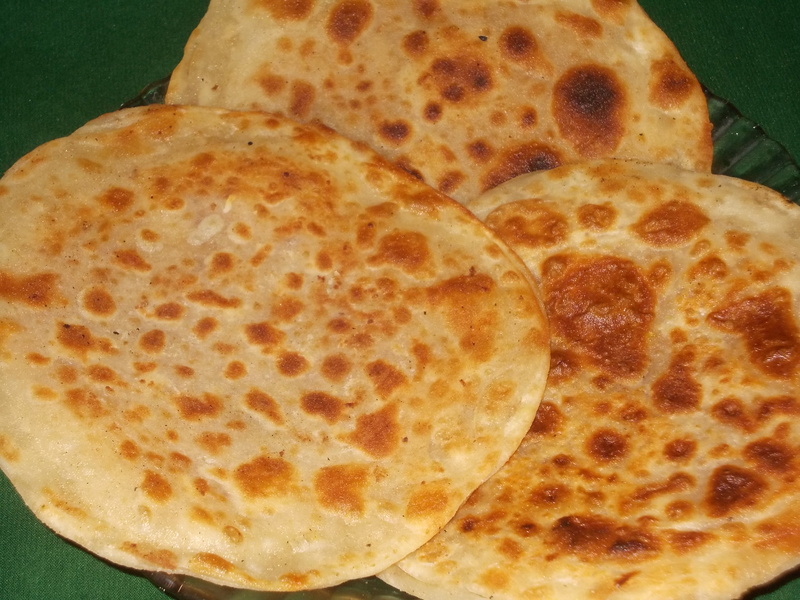 A simple yet mouth-watering recipe Paneer Paratha is prepared by stuffing a spicy & crisp Paneer filling. Serve this healthy vegetarian dish with curd or chutney. Mix salt, sugar & green chillies with paneer. Stir till the water dries. Keep aside. Make a soft dough from flour, 1 tsp of salt, 1 tbsp of oil & hot water. Make 5 or 6 balls out of the dough. Make bowl out of each balls & fill these with paneer filling. Roll out each balls to circles. Swallow fry the parathas using 1 tbsp of oil for each. Paneer Paratha is ready to serve.